A trusted leader serving the community with a commitment to innovation and improvement. Plan for technology improvements and maintenance to meet the operational needs of the district. Exercise sound financial judgment and plan for fiscal sustainability. Build community trust and resilience through education and engagement. We seek feedback and learn and improve from experience. We are willing to take risks and make changes in order to improve service. We are committed to doing the work, and continuously improving the way work gets done. We are open, transparent, and accountable to the public we serve. We acknowledge that public trust matters - and strive to be worthy of it. We are respectful, effective and humble. We do what's right for the right reason. We work cooperatively with one another to achieve our goals. We strive for open and honest communications and value differing opinions. Our managers coach, mentor and develop a strong team culture. We appreciate the importance of caring for people in the most challenging of circumstances. As of October 1st, 2016, Fire District 7 became a newly restructured fire district. 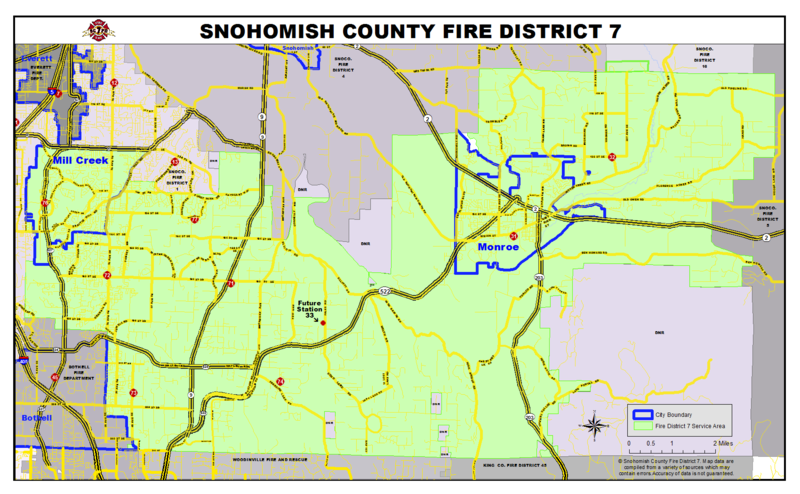 During the August 2016 Primary Election, voters in Monroe Fire District 3 approved merging with Snohomish County Fire District 7 by almost 81 percent. 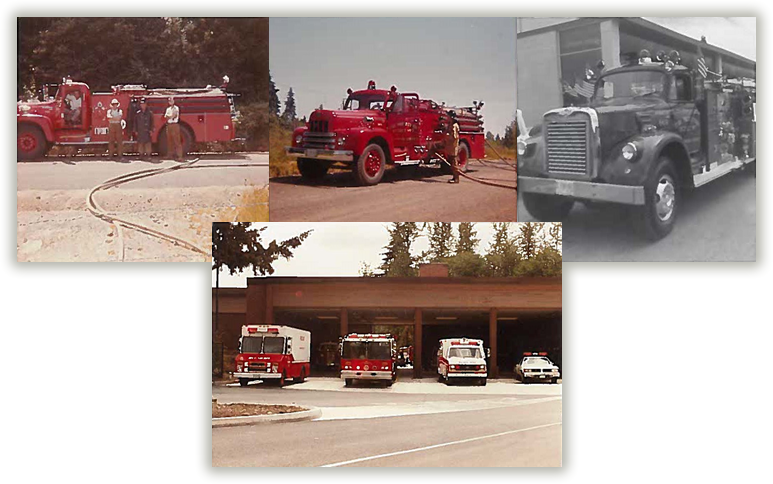 Both Fire District 7 and Monroe Fire District 3 have long standing service relationships within our communities. Today, Fire District 7 serves a population estimated to be over 116,000 residents over 98.5 square miles. The District operates eight fire stations with Station 76 located in and serving the city of Mill Creek under a contract for services. Currently, the District employs over 190 personnel including firefighter/EMTs, administrative staff and chief officers. 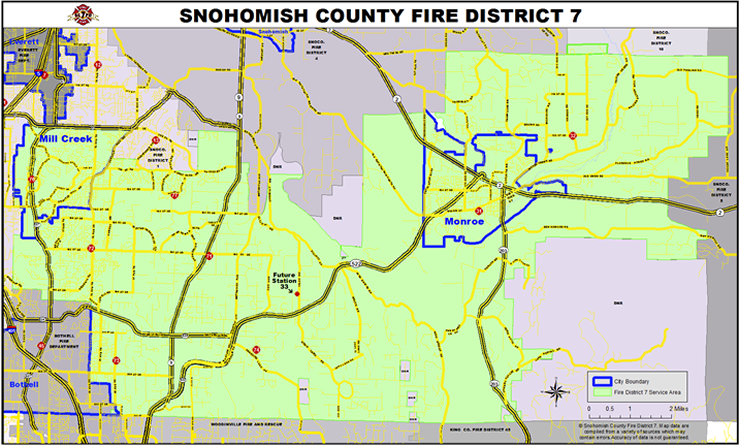 Snohomish County Fire District 7 will undoubtedly see additional advances as it continues to meet the needs of the community. All personnel; past, present, and future can feel proud of the accomplishments made by this department during the last several decades as well as for the accomplishments yet to come.